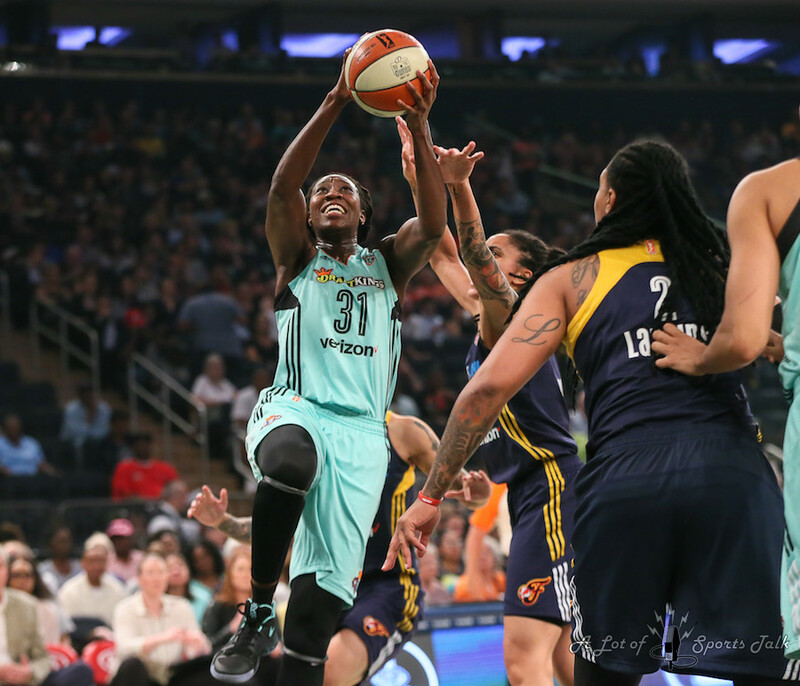 In an uneven season for her team, Tina Charles has been the one constant positive for the New York Liberty. 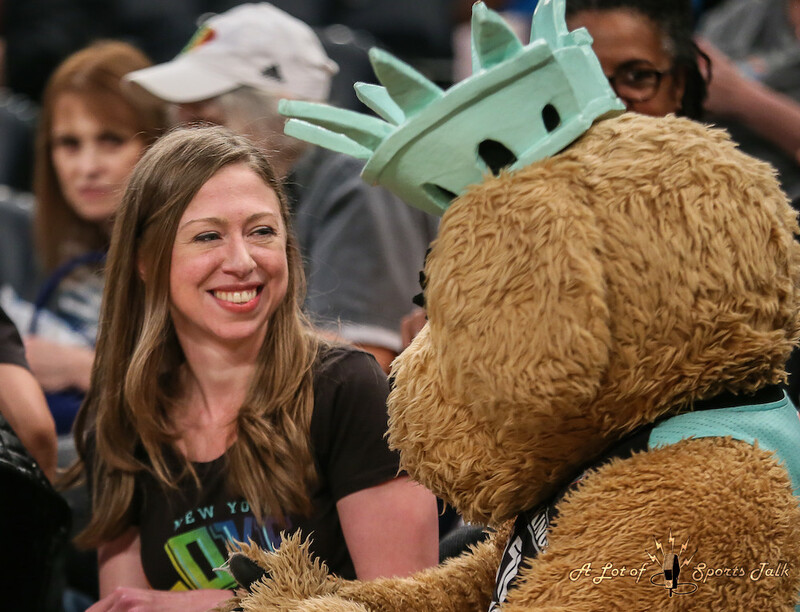 So it was no coincidence that tonight’s matchup evolved into a microcosm of the 2017 Liberty: look impressive in spurts, be mired in inconsistency otherwise, yet follow Tina to victory nonetheless. 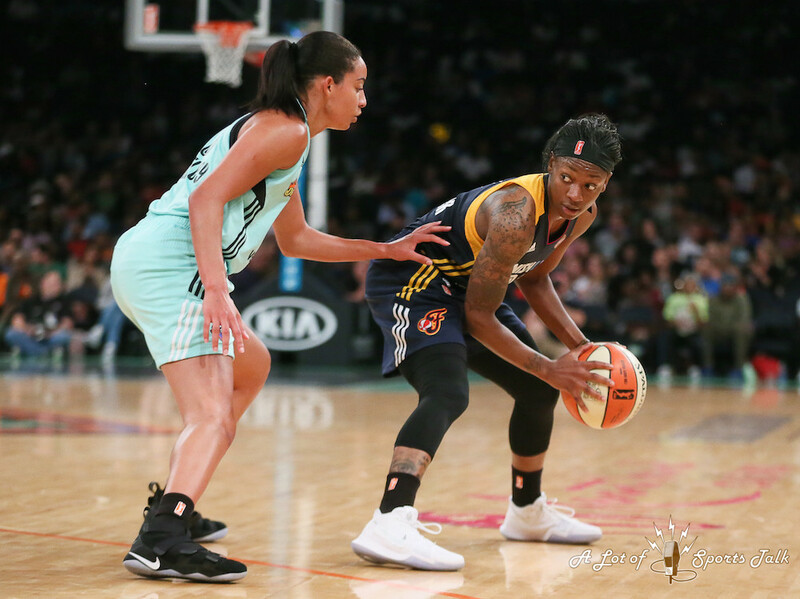 Charles led all Liberty players with 26 points and made key plays – both scoring and passing – late in the contest as the Liberty defeated the Indiana Fever 81-76, a crucial matchup which moved the Liberty into a much more comfortable position in qualifying for the WNBA Playoffs. 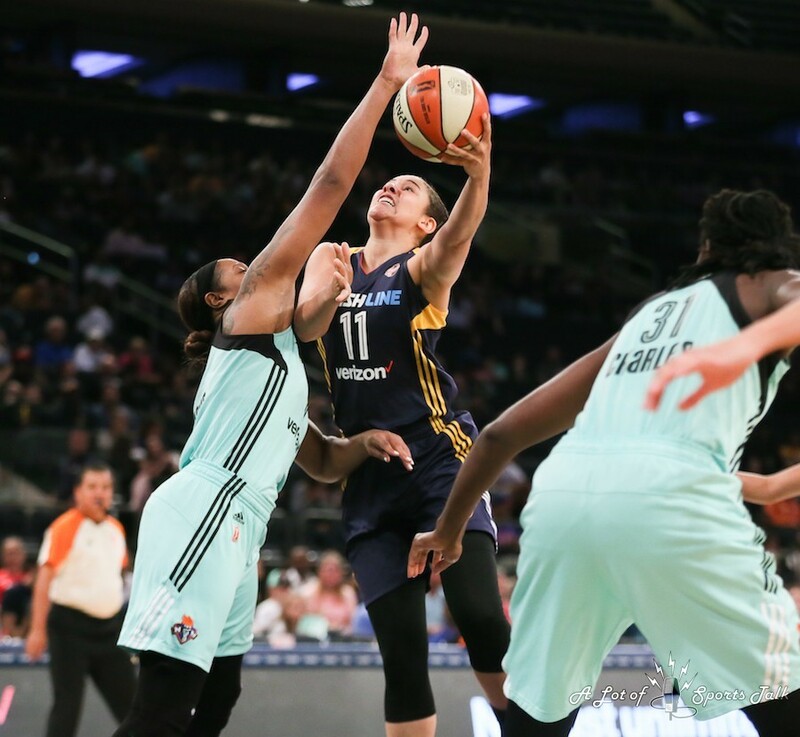 The good for New York came from almost the very beginning, as New York opened a 10-point lead in the opening 10 minutes. 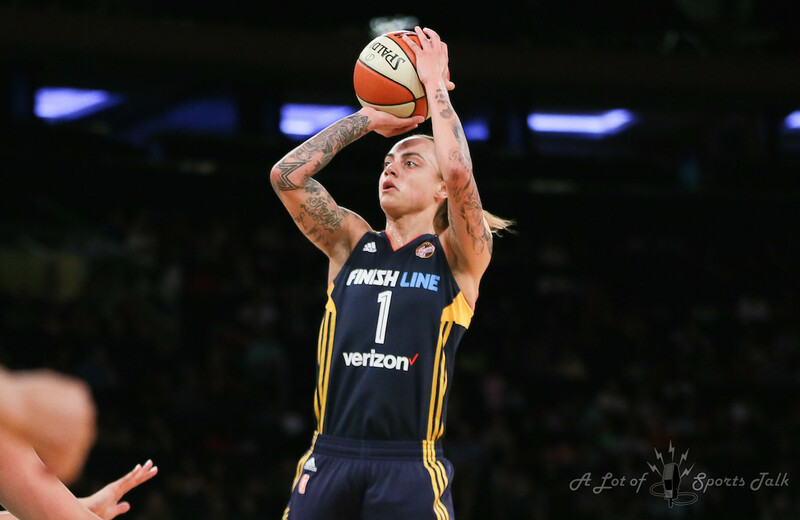 Charles’ three-pointer on the first possession of the game acted as the catalyst in a personal 12-point first quarter, as she hit five of the eight shots the Liberty made in the quarter. 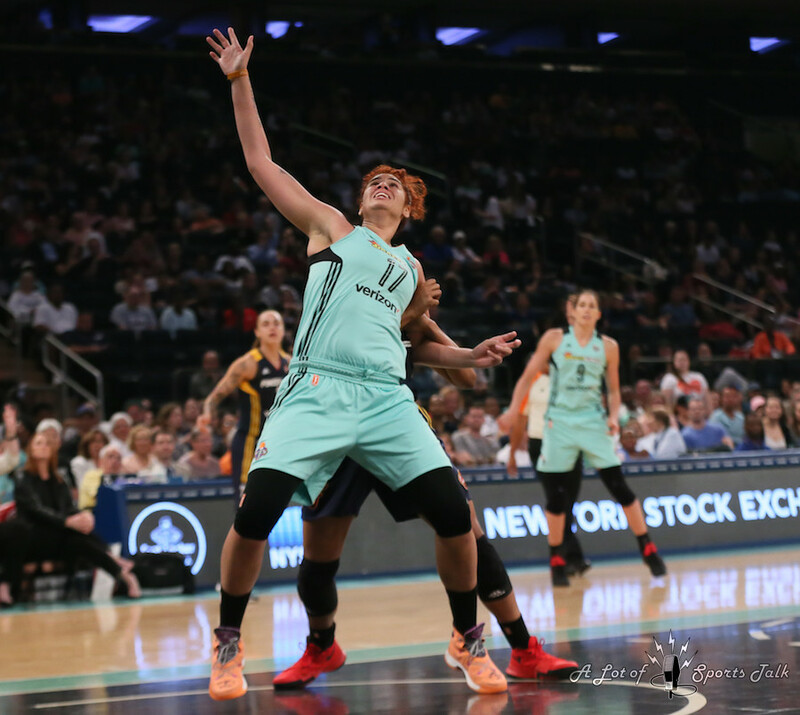 Liberty head coach Bill Laimbeer was somewhat surprised at the fast start, saying afterward he thought during the shoot around that his team was not going to perform at its best. “We didn’t play great but we played with enough energy to win the game,” said Laimbeer in the postgame press conference. 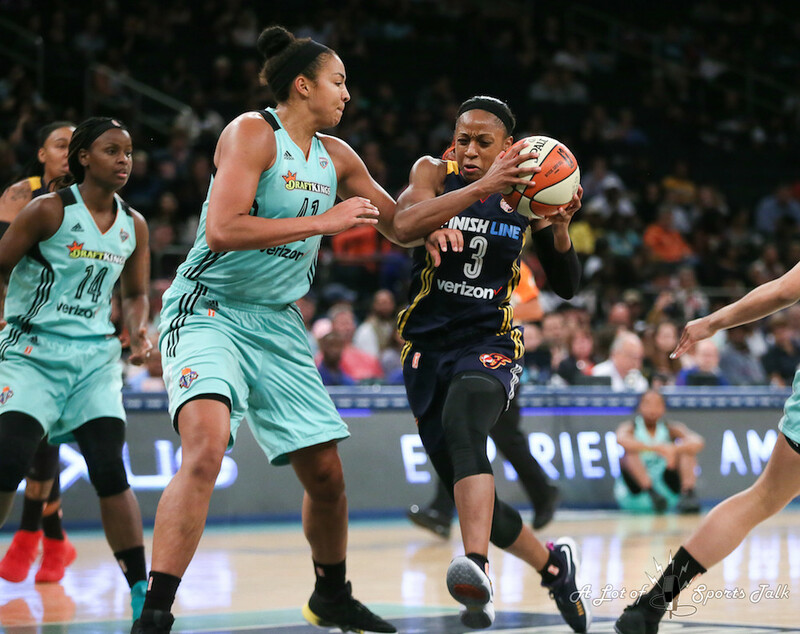 While the Liberty remained in the lead throughout the middle two quarters, the Fever chipped away at their deficit, outscoring New York 43-34 in the second and third combined, as they cut the Liberty lead to just one heading into the fourth. 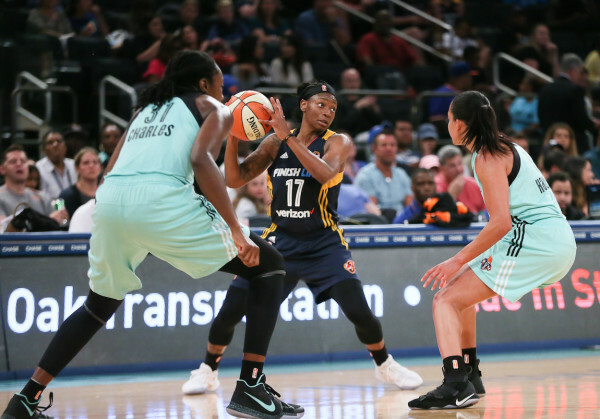 In a see-saw fourth quarter that saw six of the game’s eight lead changes occur during it, Charles came up with the big plays for herself and her teammates. With the game tied at 68, Charles found a wide-open Kiah Stokes underneath the basket for a layup and a two-point Liberty lead with 4:37 left. A few possessions later, and with New York up by two, Charles was fouled by Indiana Fever forward Erlana Larkins on a loose ball late in the shot clock. 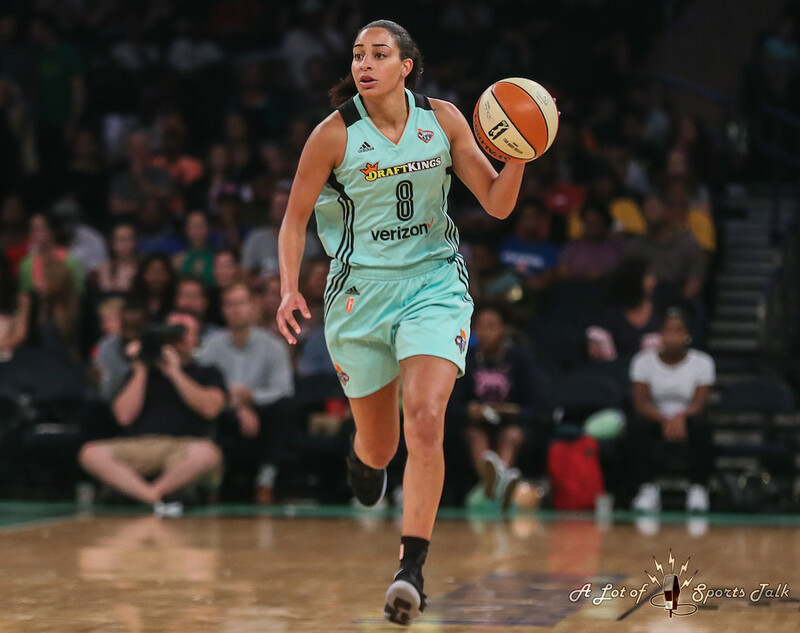 Charles stepped up to sink the two free throws, giving New York its largest lead of the quarter at 74-70 with 43.5 seconds left. Along with the 26 points, Charles ended the night with seven rebounds and four assists. 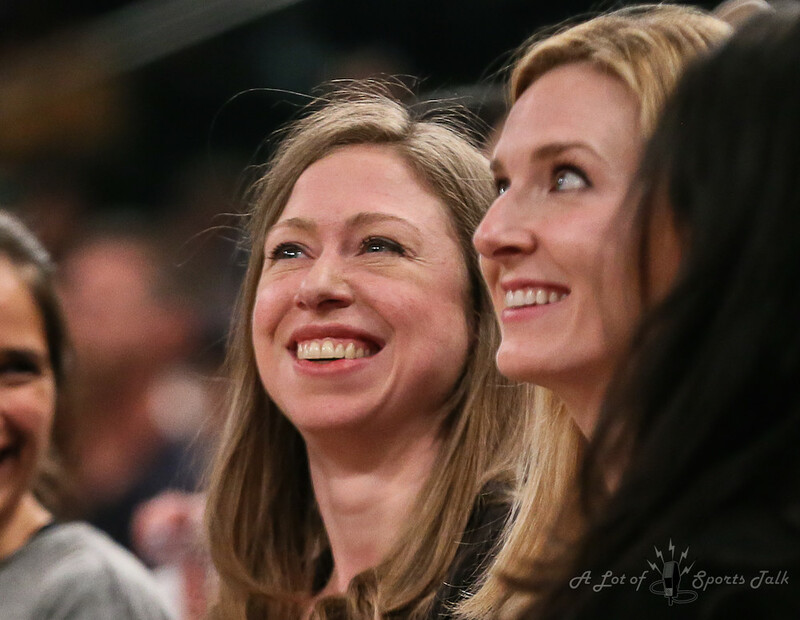 As important, she made all nine of her free throw attempts. “I know my presence on the court definitely makes it easier for my teammates and they get going as well”, Charles said in the locker room after the game. 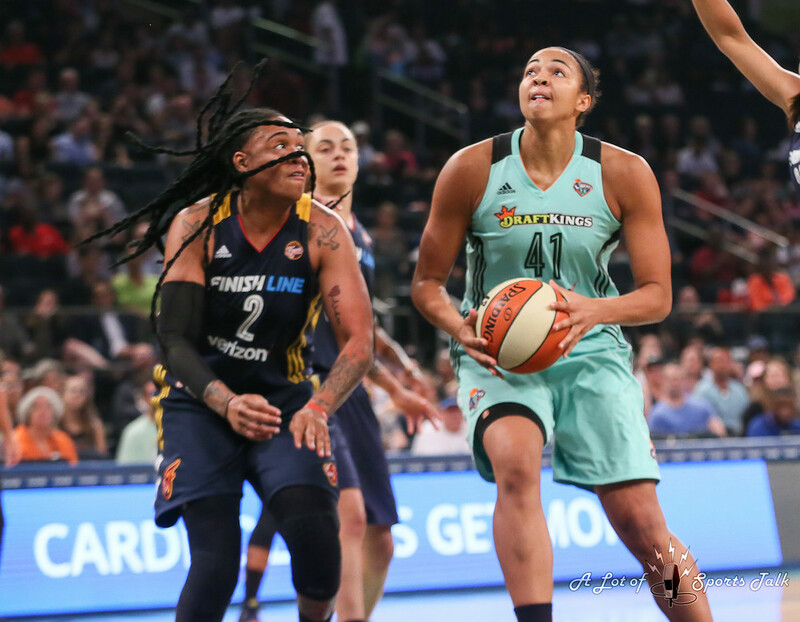 New York’s late-game escape wasted a wonderful performance by Fever guard Erica Wheeler, who exploded for a career-high 33 points – including 20 of those in the first half. 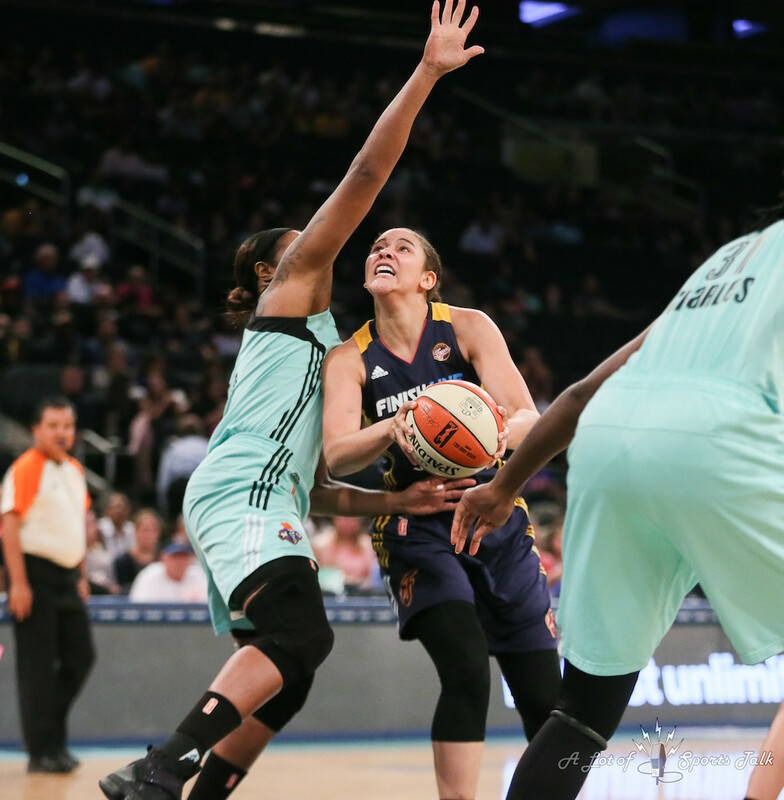 Wheeler also drained seven three-pointers in the game, one shy of the WNBA single-game record for most threes made. 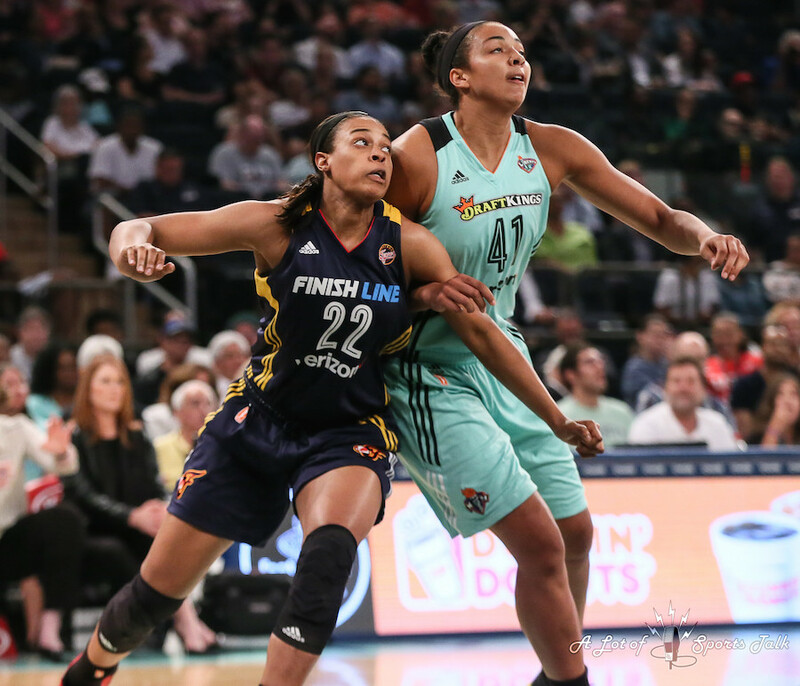 Not including Wheeler, Fever players combined to miss all of its other 12 three-points attempts in the contest. 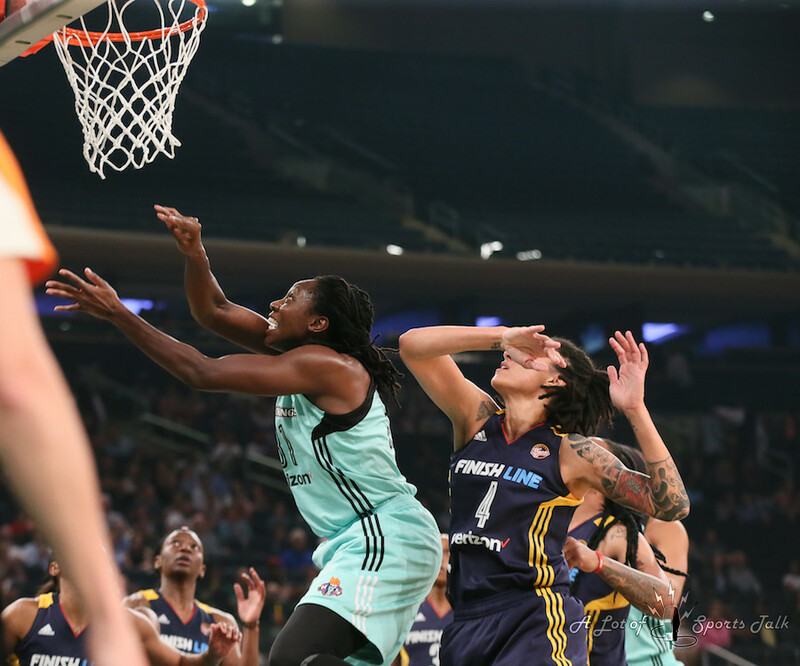 The free throw line also made the difference for the Liberty, making 27 of their 32 free throws. 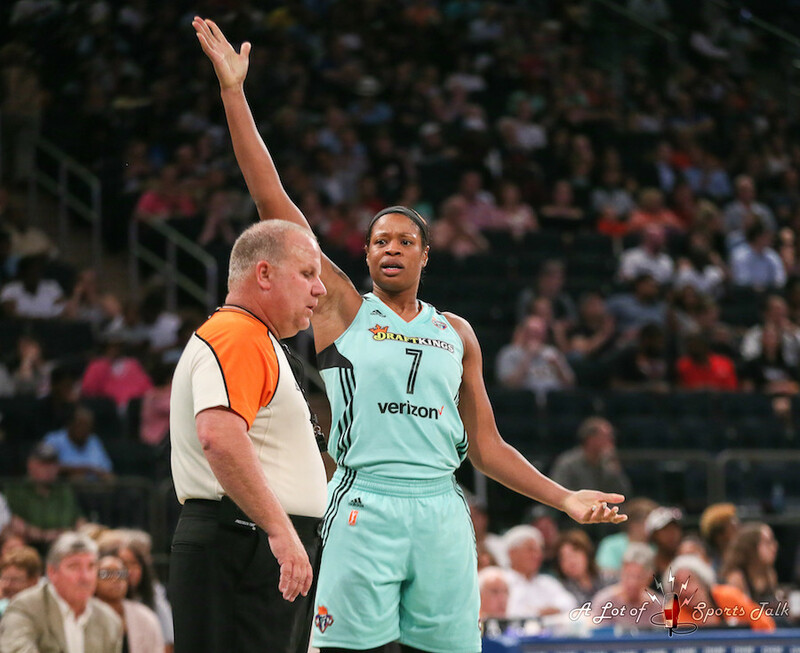 Shavonte Zellous, who was New York’s second-leading on the night with 16 points, made 10 of her 11 attempts from the charity stripe. 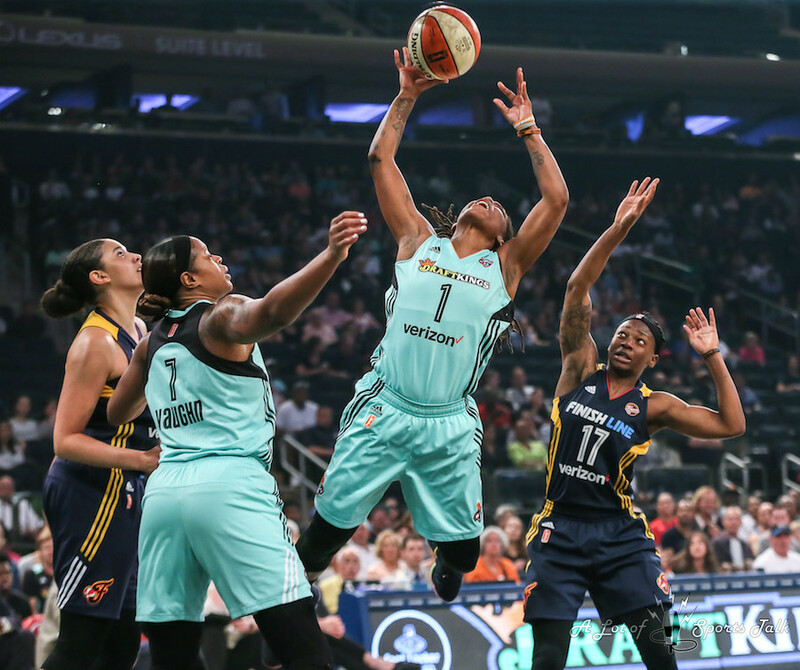 New York’s victory put them over the .500 mark at 13-12, as it now resides in the fifth spot in the WNBA standings and three games clear of the eighth and final playoff spot. 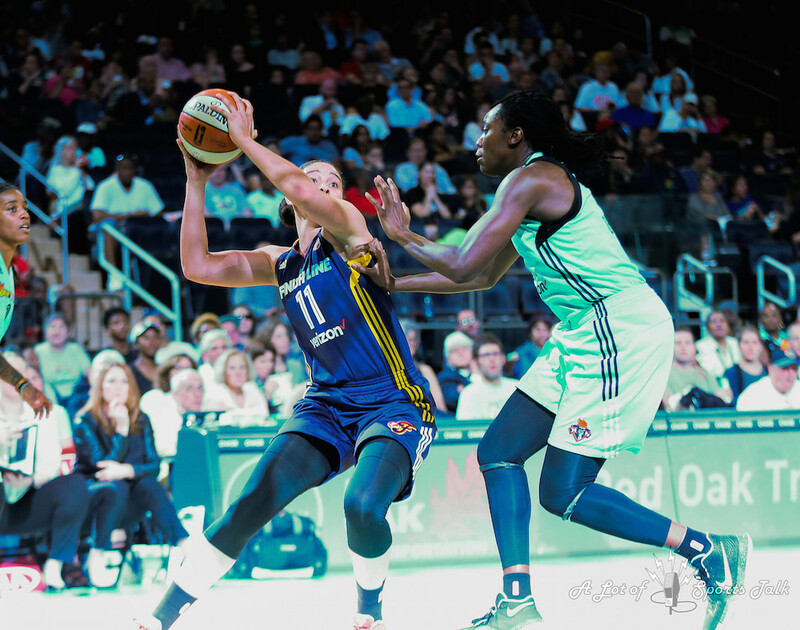 The loss by the Fever dropped them to 9-18 and they now sit 1.5 games out of eighth place – two games in the loss column.